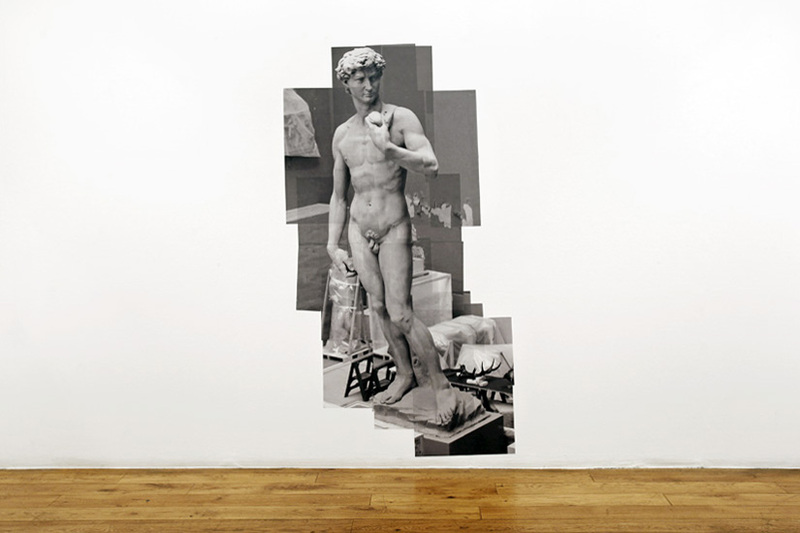 The Study of David is a site-specific montage of photographic images, depicting a replica of Michelango’s figure of the biblical hero, David. 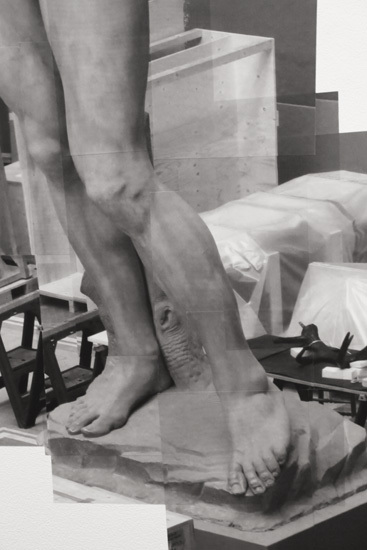 Through the process of editing and layering, David’s body is gently and subtly remoulded and transformed from the original into something new. Kate was interested in producing a replica of something already so heavily reproduced. Changing the scale, and intended angle of view, she moved the camera up and over David’s body, breaking him down into forty separate pieces before piecing him together as a more lifelike figure. 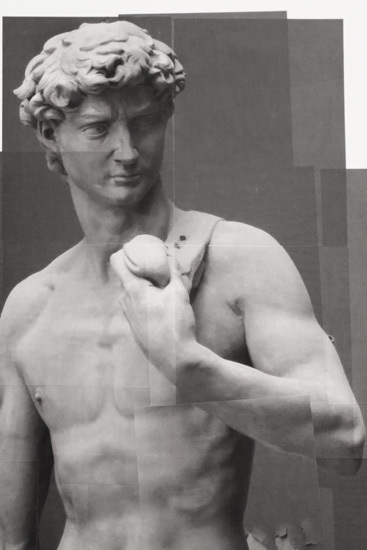 She wanted to examine each part of his body in isolation, exploring the idea of David as a symbol of youth, strength and beauty, and to raise questions surrounding what constitutes ‘the ideal?’. Click here to see installation photos of The Study of David exhibited alongside The Study of Peter Pan at Four Corners, Bethnal Green, October 2013.